The intermediate storage of heat from biogas plants, biomass cogeneration plants or other heat sources is an important prerequisite for effective use. 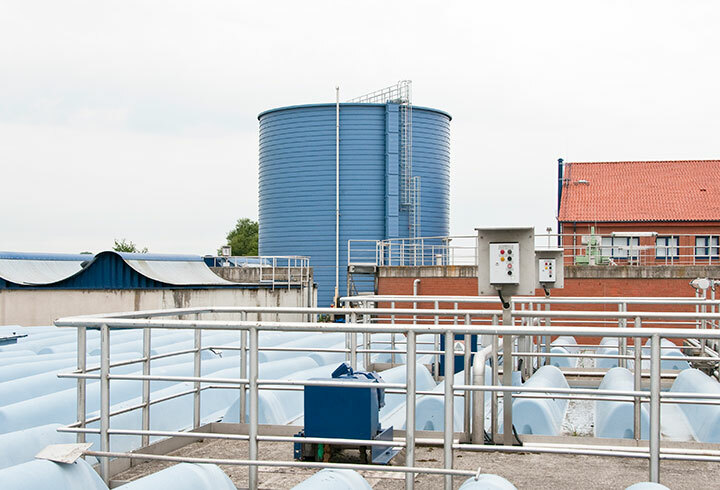 Lipp buffer tank systems are economic system solutions for the storage and supply of thermal energy and can be easily integrated into customised solutions for local heat supply. The individually tailored solution appropriate to heat storage requirements with useful volumes of 80 to 3,000 m³ is made of stainless steel with the Lipp dual seam system and operated in conjunction with insulation adjusted to the application at about 95 ° C.
Since the Lipp system is unpressurised, the container solutions are extremely low maintenance and are very durable. The high-volume, above-ground Lipp storage tanks have been specially developed for this application and are popular with end users and energy suppliers alike. In cooperation with plant operators and energy suppliers, individual local heating concepts can therefore be developed and implemented and contribute to a more sustainable use of thermal energy.